924s -86 Black on black with low ET "Phonies"
Well, there are two options then. Either modify the manifold you have, or do as I did, modify a diesel manifold. Your manifold has provision for injectors, which is good, but I don't know if it is possible to modify it, so it clears the suspension tower. The diesel manifold clears the tower by a couple of cm. But there is not enough space for injectors/fuel rail on the inside of the manifold. That's the main reason why I cut it off and made the new plenum/runner assembly in stainless steel. One funny thing about your manifold, is that it has air cooling for the injectors, never seen that before. 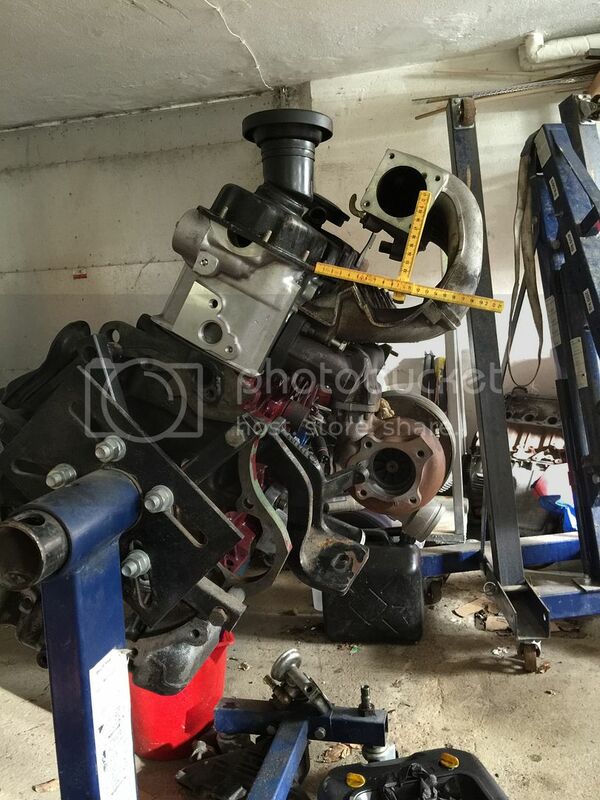 Btw, the cylinder head, is that the brand new one that was on Ebay.de (from Slovakia) ? Edit: or rotate the engine maybe, yes. "If you can't fix it, don't break it"
Will the turbo fit too? 1. New manifold and no turbo. No go. 2. Adjusted manifold and smaller turbo. Ok.
3. Ajust the tower and beam with the grinder. Not first onthe ToDo-list. Don´t like Photobucket anymore. Will not pay $399 for third party pictures. Looking for another solution. There will be some work for you on both intake and exhaust manifold. Exhaust because you want a turbocharger. 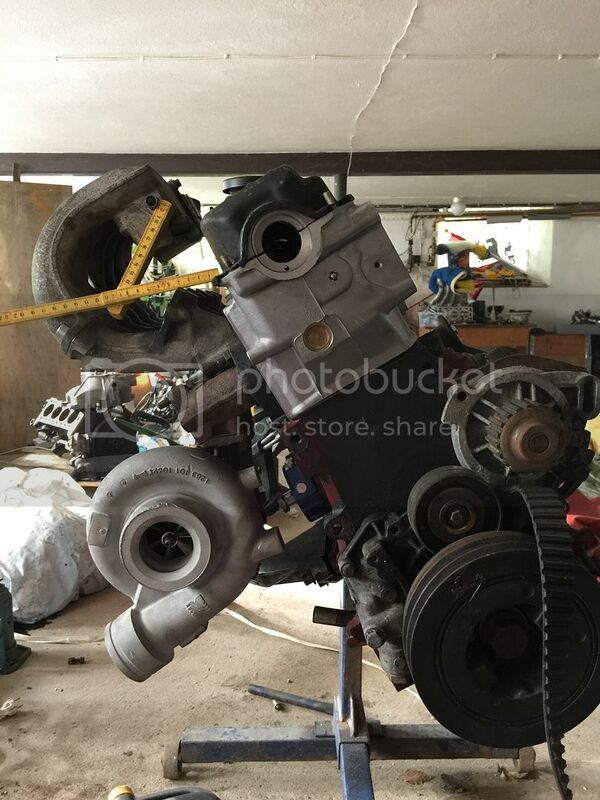 Intake, well there is not at lot of space and when VW made the EFI intake manifold, they probably never imagined that anyone were going to put the engine in a 924. In the LT van bay, there was space for a large intake. I wonder how crazy it would cost to freight one of these engines to the USA. 1979 Porsche 924s with the beloved 915-based dog legged 5 speed. It was my intention to get if running this year. Concidering the many options there are and the easy counted benefits of this particular one?